I maaaaay have janked up the pattern a smidge around row 5 or so of the pattern, but it shouldn’t be enough to be noticeable. Time listed is extremely misleading — I think I did the actual pieces in an hour or two, but it took me a couple of weeks to get around to seaming, and a couple more to get around to sewing the head to the body. 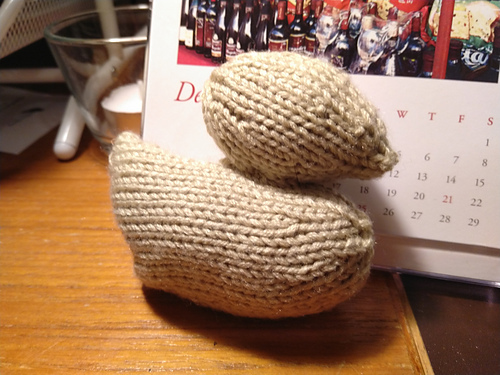 FWIW, since I was doing it a single color (to mimic a carved wooden duck), I just threw out the two beak pieces. Honestly I think they’re way too fiddly, both to knit and to attach. Unlikely to make more, which is actually kind of a bummer, I would’ve liked to have given them to the whole gang. 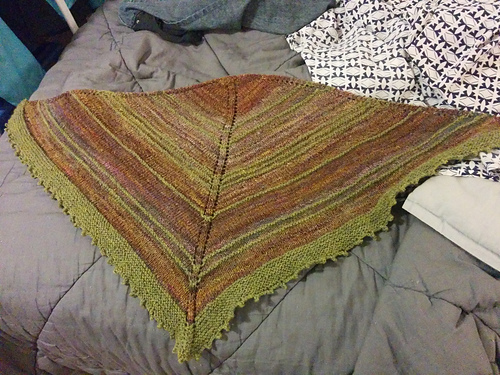 Date finished is when I did all the sewing up, I think I finished knitting it last weekend? I have tried several patterns with this yarn, and I really like the drape with a larger needle, so I’m doing #6 needles instead of the #4 called for in the pattern. 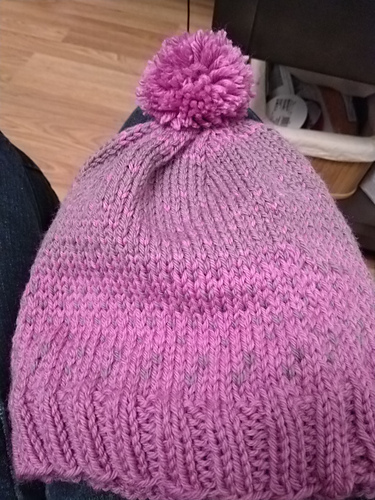 Nice simple little hat, used up the last of the yarn that I bought to make the owl cardigan.